Dryer Won’t Heat, Found Burnt Wire on Thermostat. Could This Burn My House Down? This happens frequently. 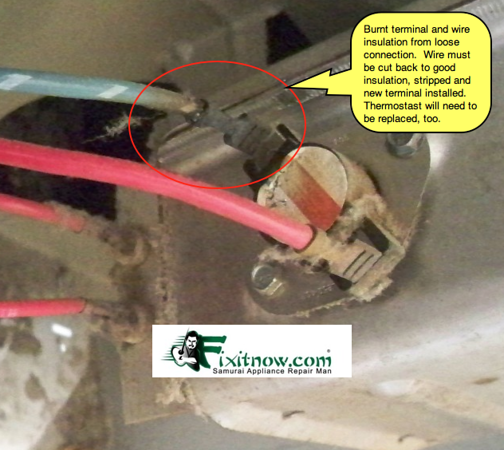 Over time, the cheap, stamped-metal terminals loosen just enough to make heat, sometimes enough to char the terminal and wire. Once it’s charred the wire enough to stop heating, it’s also stopped the current flow through the thermostat and hence any danger of burning your house down. Just fix it and chill. You’ll need to replace the thermostat, too. You can buy a replacement thermostat ratcheer.